Al Qosh, IRAQ – Nahum the Prophet warned the world about the impending end of the Assyrian empire and the destruction of its capital, Nineveh. More than 2,600 years later, his tomb, inside an ancient synagogue in the Iraqi city of Al Qosh, may face the same fate, courtesy of ISIS. Smooth domes topped with crucifixes rise slightly above the beige stone houses in Al Qosh, the modern town built on the ancient Nineveh plain. The town is a treasure trove of history from the Assyrian empire and the beginnings of Christianity. Less well known is the town’s Hebrew heritage, emblemized by the Prophet Nahum. The crumbling stone walls of one of Iraq’s last synagogues remain mostly standing, nestled in the center of the small town, against the backdrop of the Bayhidhra Mountains. 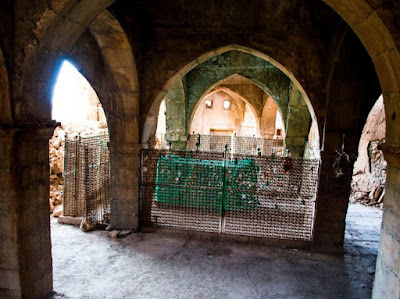 Inside purportedly lies the tomb of "Nahum the Elkoshite" – meaning, of the town of Al Qosh – the Hebrew prophet who vividly predicted the fall of Nineveh in the 7th century BCE. 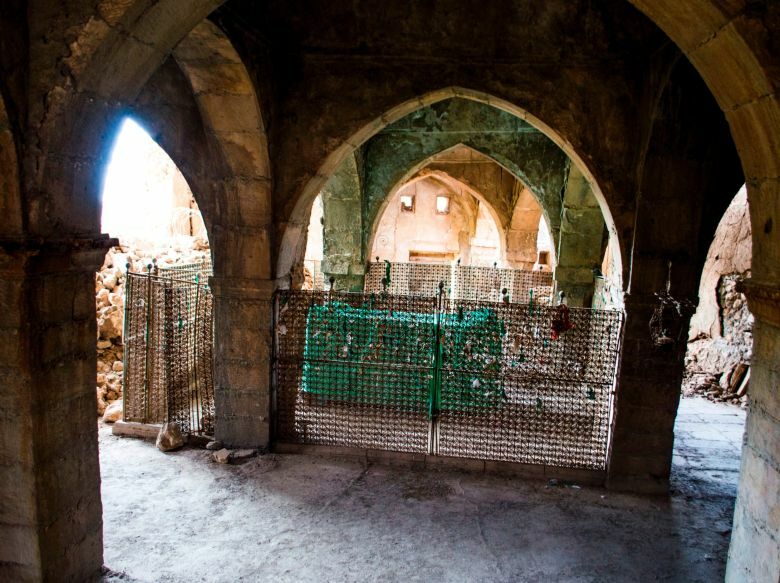 Asir Salaam Shajaa, an Assyrian Christian born and raised in Al Qosh, dusts off the green cloth that lies over the ancient tomb in the center of the run-down synagogue. He is adamant that resting under the heavy stones are really the remains of Prophet Nahum. Like his father and his grandfather before him, Shajaa takes care of the site dutifully, fulfilling a promise made more than 60 years ago to the fleeing Jewish residents of the town. Al Qosh’s Jewish population fled in the early 1950s after the Iraqi government began pursuing policies – often violent – to purge the country of its Jews, to punish the faith for the declaration of an independent Jewish state. Between 1949 (the year after Israel's establishment) and 1953, around 77 percent of Iraq’s Jewish population fled, including the last Jews of Al Qosh. 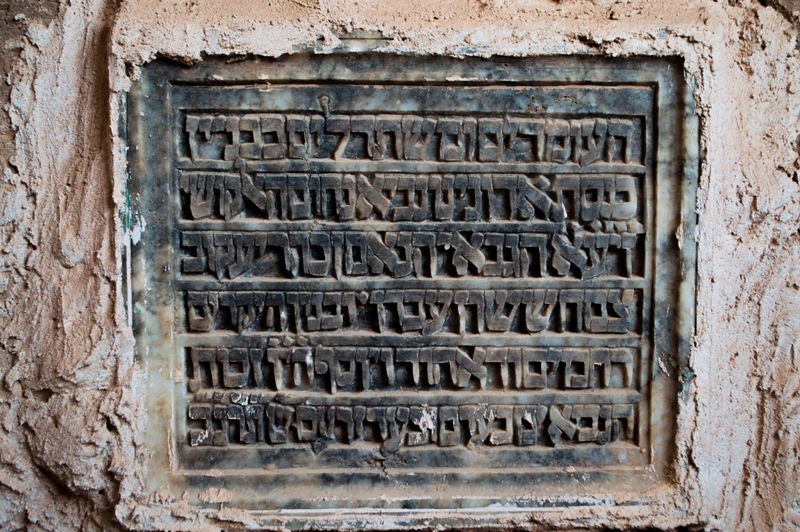 Before the Jewish exodus of Iraq, Nahum’s tomb was reportedly visited by thousands of worshippers every year, particularly during the Shavuot holiday. Not much is known about Nahum, the seventh in the order of the Minor Prophets in the Hebrew Bible. It does say that he lived in Al Qosh, sometimes written as Al Qush or Elkosh, in the Nineveh Plains of what is now Iraq. The beige hand-laid walls of the old synagogue are crumbling, but many still stand. 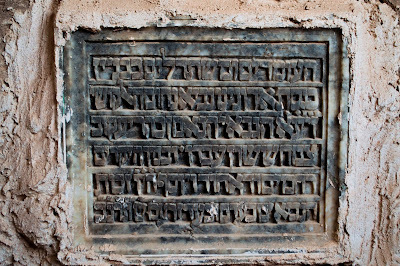 Some are adorned with legible Hebrew script carved into large stone plaques that remain firmly embedded. Through two walls that have partially crumbled, Shajaa has a direct view into the building from his living room window. “I keep an eye on this place. My wife comes and sweeps the floors every week, and when we have a visitor who wishes to see or worship at the tomb, they are told to come to my house,” Shajaa says proudly. “I open the gates for them and let them in. We don’t get many visitors, though,” he says. In an attempt to save the site from further weathering, the Iraqi government installed a corrugated metal awning that shields the synagogue. Visiting the site however, has been discouraged due to safety concerns: the walls are surrounded with barbed wire. But Shajaa, who continues to hold the sole keys to the sturdy metal gates to the building, disregards safety concerns. He has never turned down a visitor, he says. Shajaa is certain ISIS can't conquer Al Qosh, but the risk has affected pilgrimages. While barely a dozen Jewish pilgrims could be expected at the site each year, now with the threat of the Islamic State extremist group nearby that number has dwindled even further. “There’s someone coming in July,” Shajaa says after a brief moment thinking about future pilgrims. “Mainly it is Peshmerga that have visited recently,” he adds, in reference to the Iraqi Kurdish fighters who have been staving off an ISIS advance around Al Qosh since August. With ISIS just ten miles away from Al Qosh, any plans for the crumbling walls of Nahum’s tomb remain on hold. Shajaa, who like many other Iraqi Christians wants to leave battle-scarred Iraq, worries what the future may hold for the synagogue and the tomb, a place that his family has cared after for decades with little to no outside help.